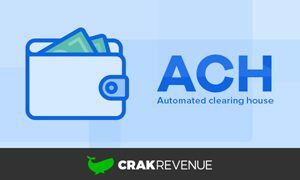 Winner of this year’s XBIZ awards as affiliate Network of the year, CPA network CrakRevenue has announced that one of their top converting private offers in the adult dating vertical is now open to all CrakRevenue affiliates at a high payout. 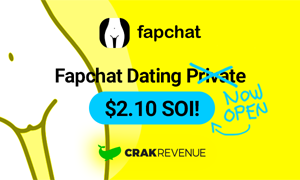 Indeed, the once very exclusive and private Dating offer is now open to all affiliates, making FapChat an excellent choice for marketers looking to cash in on an equally excellent payout: $2.10 on US traffic and up to $3.15 per single opt-in (SOI) on other geos. “While the offer was still private, the few affiliates who had access to it made more than $250,000 in commissions alone last year,” says Louis-Alexandre Dumas, Business Manager of Dating at CrakRevenue. “In anticipation of FapChat’s public roll out, we’ve worked tirelessly in pursuit of total optimization over the past few months to ensure our newest landing page, one we’re calling ‘FapChat Story,’ is even more efficient,” he adds. The “FapChat Story” landing page was designed for mobile traffic and is inspired by CrakRevenue’s most rewarding landing pages in adult dating… and it shows! Since its release, this lander has become the most used landing page of CrakRevenue’s entire in-house media buying team’s arsenal for Mobile Dating traffic. “Our media buying team has been able to test our new lander and it has quickly become our top converting landing for mobile traffic in dating,” Dumas says. “Speaking of which, we can now provide affiliates looking to Media Buy with packages of our best FapChat creatives for display,” he adds. 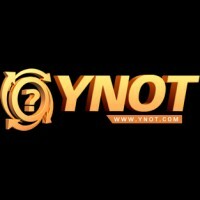 Despite its initial success via display advertising, the Fapchat Story landing page was mainly designed for social media traffic. 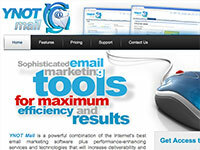 It’s also really effective with direct marketing, with an even higher payout granted to email marketers.